Many universities such as UC Riverside will struggle with the new budget. Questions arise over financial aid programs as both the state and federal Congress push to pass their budgets with limited funds and abundant expenditures. The delay of the passing the California budget brings concern to college students – Cal Grants could possibly be cut within the next years. A new bill that changed some requirements for Cal Grant was passed on March 24, 2011. This bill changed the eligibility requirements of both students and institutions. The bill states that in order for Cal Grant recipients to be able to renew their grants, they must meet the requirements every year, which before was only required of new applicants. It is estimated that close to 13,000 students will not be able to renew their grants for the 2011-2012 school year now that the new bill was passed. Also, some schools had their Cal Grant programs cut altogether. The institutions affected are mostly proprietary, for profit, schools. 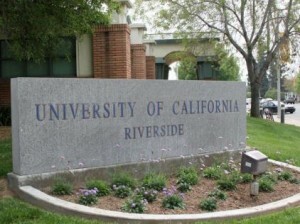 The institution requirement under the new bill requires Cal Grant participating institutions with more than 40 percent of their undergraduate enrollment that borrowed federal student loans to have a default rate of less than 24.6 percent, in order to be eligible for new and renewed Cal Grant awards in the 2011-12 academic year. Less than 30 percent is allowed for each subsequent year. It is estimated that an additional 5,500 students will either have the amount of their Cal Grants reduced or will be unable to use them at their university under the bill as well. The bill, known as Senate Bill 70, is said to save the state as much as $124 million a year. But many students will have trouble paying for school. This leads lawmakers with a tough decision, to help save money or make an investment in the education. Apart from the state’s budget troubles, the nation also has some items to work out. The problem became so large that a potential government shutdown was expected. However late on April 8, Obama spoke to Americans about the bipartisan agreement. Compromises were in order but the voting would not begin until the following week. The Pell grant and federal Stafford loans are some of the items in question. The budget could continue the aid at the current level or it could decrease the amounts. An announcement was also posted under the Financial aid tab under InsideCBU. It read that the amounts for both 2011-2012 Cal Grants and Pell grants are determined the California Student Aid Commission and the Department of Education. Amounts could change “based on federal or state shortfalls,” the announcement read.